44 7/8 by 29 15/16 in. 114 by 76 cm. 35 1/2 by 23 5/8 in. 90 by 60 cm. 26 3/4 by 23 3/4 in. 67.9 by 60.3 cm. 48 by 33 3/8 in. 122 by 85 cm. 51 by 34 in. 129 by 86.5 cm. 33 1/2 by 23 5/8 in. 85.1 by 60 cm. 27 5/8 by 31 1/2 in. 70.2 by 80 cm. 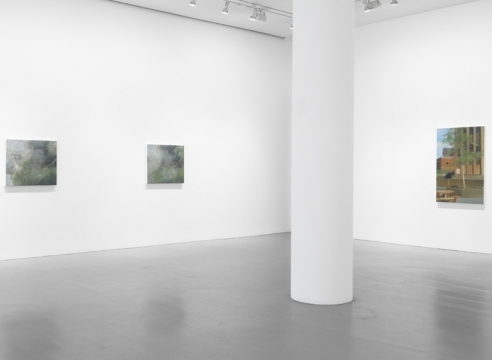 Installation view at Mitchell-Innes & Nash, NY 2011. 86 5/8 by 65 in. 220 by 165.1 cm. 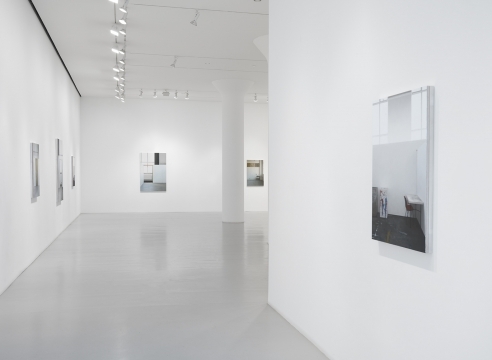 Installation view at Mitchell-Innes & Nash, NY 2008. 67 1/8 by 50 1/4 in. 170.5 by 127.6 cm. 86 5/8 by 81 7/8 in. 220 by 208 cm. 25 1/4 by 30 3/4 in. 64 by 78 cm. 15 7/8 by 19 in. 40.3 by 48.3 cm. 32 1/3 by 24 2/5 in. 82 by 62 cm. 74 4/5 by 92 9/10 in. 190 by 236 cm. Paul Winstanley is best known for his delicate paintings from photographs, which pull beauty from quotidian environs with tactile precision. 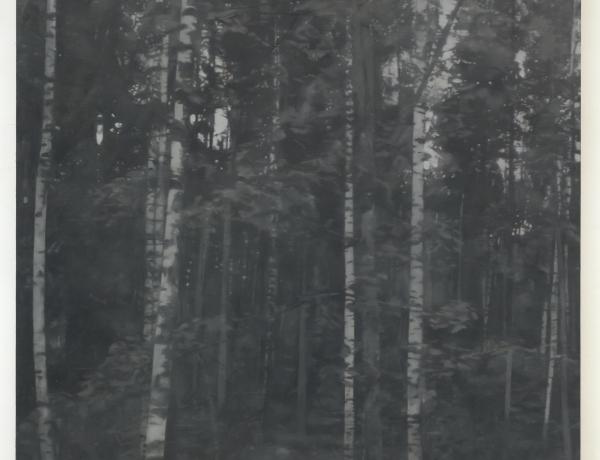 Wavering between photographic realism and painterly softness, Winstanley’s works call into question the quiet psychology of public and private spaces. Paul Winstanley was born in Manchester in 1954 and lives and works in London. His work has been included in exhibitions since the 1970s, and over the past two decades it has been shown throughout the United Kingdom, Germany, France, and the United States. Recent institutional group shows include Art and Existence, Esbjerg Kunstmuseum, Esbjerg, Denmark (2013); Lifelike, Museum of Contemporary Art, San Diego, California (2013); and Window to the World, Museo Cantonale d’arte and Museo d’arte, Lugano, Italy (2013). His first retrospective was held at the Auckland Art Space in New Zealand in 2008 and was accompanied by a fully illustrated catalogue. Winstanley's work is represented in numerous public and private collections, including the collections of The Irish Museum of Modern Art, Dublin; Tate Gallery, Great Britain; New York City Public Library, New York and the Museum of Contemporary Art, Los Angeles. 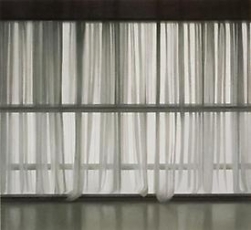 All images © Paul Winstanley. 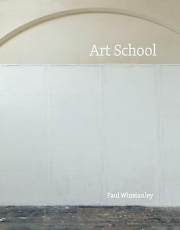 Paul Winstanley will be present at Karsten Schubert on November 21st from 6-8 pm for the launch and signing of his most recent publication of Art School. Filled with photographs of unpopulated studios, Paul Winstanley’s exploration of British art schools highlights their importance at a time when the art school system’s existence is more fraught than ever. Paul Winstanley is to be included in "Lifelike", a traveling exhibition curated by Siri Engberg. Is it real? Lifelike invites a close examination of artworks based on commonplace objects and situations, which are startlingly realistic, often playful, and sometimes surreal. This international group exhibition features artists variously using scale, unusual materials, and sly contextual devices to reveal the manner in which their subjects’ “authenticity” is manufactured. Avoiding the brand-name flashiness embraced by 1960s Pop and the slick urban scenes introduced at that time by the Photorealists, the artists in Lifelike investigate the quieter side of the quotidian, choosing potentially overlooked items or moments as subject matter: a paper bag, an eraser, an apple core, a waiting room, an afternoon nap. They also favor a handmade, labor-intensive practice rather than technological enhancements. The resulting works—including painting, sculpture, photography, drawing, and video—transform the ordinary into something beguiling, loaded with narrative and metaphor, and imbued with an arresting sense of humanity. Lifelike showcases works from the 1960s to the present by more than 55 artists, including Vija Celmins, Keith Edmier, Fischli and Weiss, Robert Gober, Alex Hay, Kaz Oshiro, Charles Ray, Sam Taylor-Wood, and Ai Weiwei. Catalogue forthcoming in February 2012. Paintings based on photographs often deaden the vivacity of the original image. 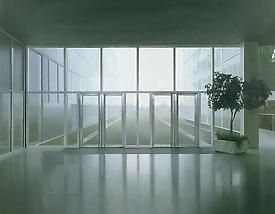 But British artist Paul Winstanley proves that this needn't be the case. 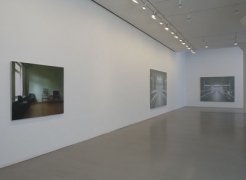 Paul Winstanley photorealistically paints nondescript places and anonymous figures—usually looking out of the picture and away from the viewer—in a soft-focus manner la Gerhard Richter. For the past three decades, British artist Paul Winstanley has been painting the future past--that utopian architectural imaginary of the postwar years concretized in a range of quasi-public/quasi-private milieus, from the airport to the hospital--making only the most incremental variations in his address of the subject matter from one show to the next. The Vermeer of corporate interiors, Winstanley is back with his first New York show in more than a decade, a quiet octet of oils on linen. Recurring subjects include a floor-to-ceiling glass wall, curtained with translucent panels through which trees glimmer, and a chrome walkway lit by pearly fluorescent fixtures. Known for his paintings based on photographs of uninhabited interiors and landscapes, British painter Paul Winstanley has been doing basically the same thing for a long time.